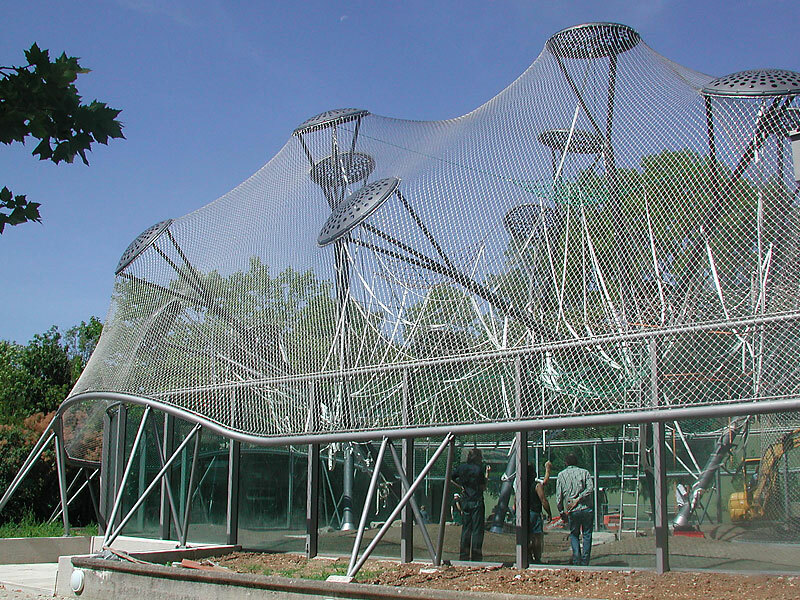 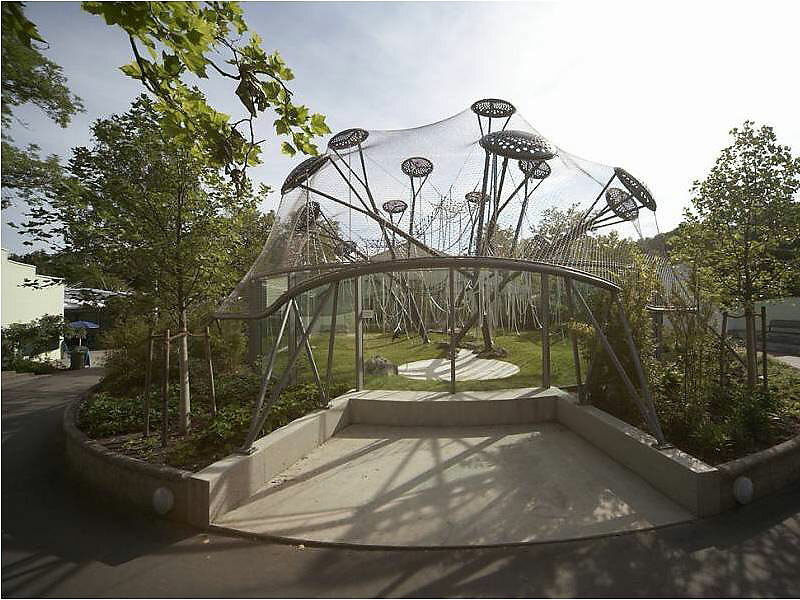 Renovation of the indoor enclosures and construction of an outdoor enclosure for Orang-Utans with a ground area of approx. 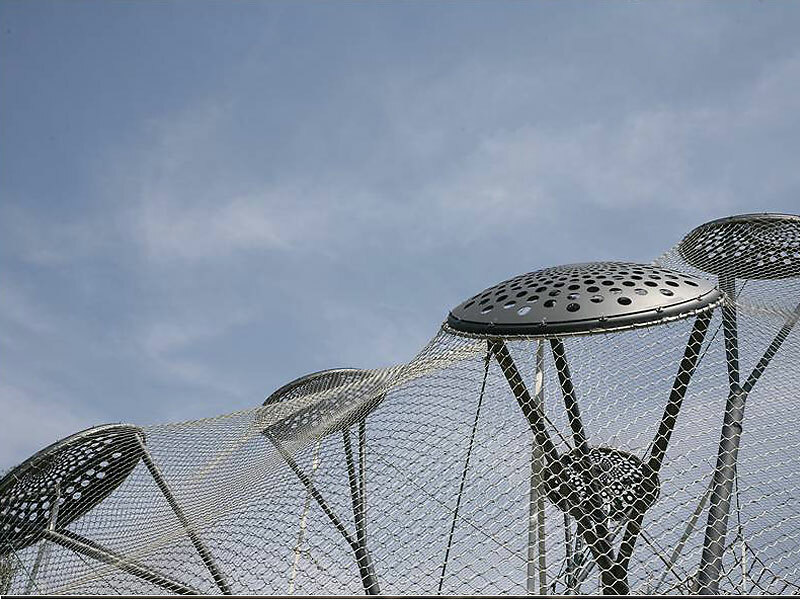 450 m² and a cable net surface of 1.400 m². 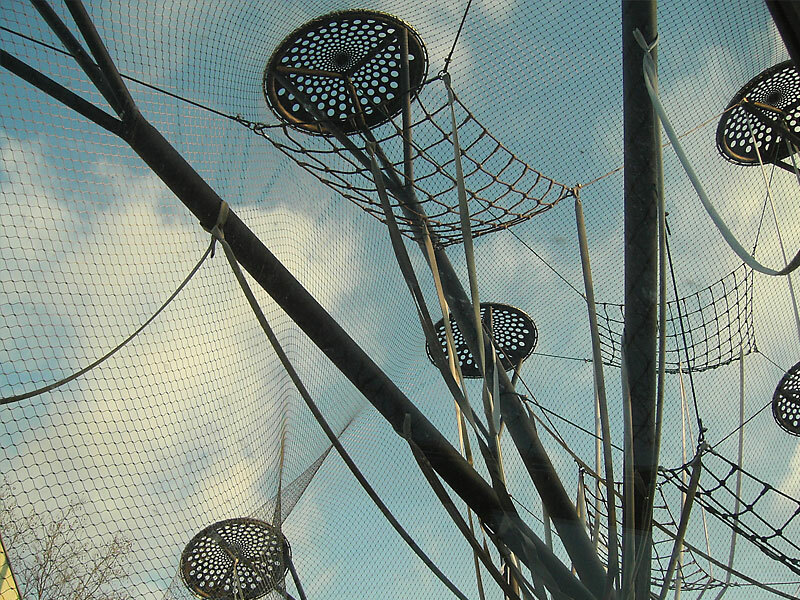 Construction made of a cable-net, tree-type masts and a rainforest scenario. 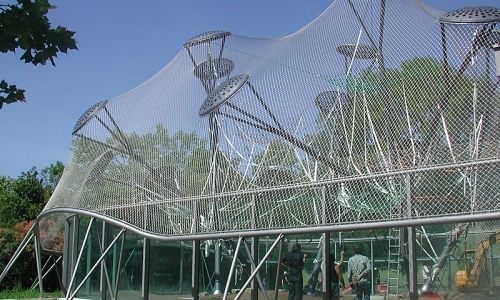 Additional outdoor enclosures for marmosets, mandrills and guenons are built within the existing historic buildings.